Man City face a crunch clash with Chelsea on Saturday evening at Stamford Bridge, and the Premier League leaders will be without two influential stars. Pep Guardiola’s side currently sit just two points ahead of Liverpool at the top of the table, and they’ve maintained their impressive form without influential midfield ace Kevin de Bruyne who has made just three appearances in the Premier League so far this season due to knee injuries. 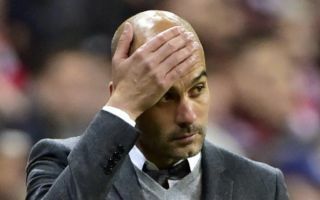 Given how crucial he was to their title success last season, they’ll be desperate to get him back as soon as possible, but as noted in the tweet below from the club, Guardiola has confirmed that he will not return against Chelsea this weekend as it had been suggested that he could be in contention, as noted by the Evening Standard. Further, the Guardian noted how Sergio Aguero picked up a problem in training on Monday, and the City boss has confirmed that the Argentine forward will also miss the game. In turn, it’s music to the ears of Chelsea boss Maurizio Sarri that he won’t have to prepare for the influential duo but ultimately as they’ve shown so far this season, City have plenty of other threats to be wary of as they haven’t particularly missed De Bruyne to this point, based on their results. Time will tell if it eventually catches up with them and costs them against the Blues, but with the likes of Gabriel Jesus, Leroy Sane, Raheem Sterling and Riyad Mahrez all offering a goalscoring threat and creativity in the final third, the Chelsea defence will surely still have their hands full. PEP: @aguerosergiokun and @DeBruyneKev cannot play tomorrow. Soon both will be back.